Keeping in step as always, TCX will be releasing several new boots for 2013 as well as a few updates to previous models. 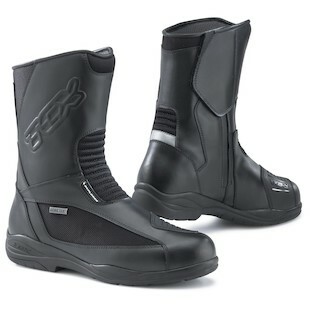 Designed to sweep you off your feet, but engineered to keep your feet firmly planted, these three boots present a low, mid, and high calf option for the all-weather rider. Leading with their best foot forward, TCX has taken the ever-popular Jupiter 2 shoe and re-worked it as the TCX Jupiter EVO Gore-Tex Boots. The most noticeable improvement comes from the TCX Comfort Fit System, which is a manual technique that allows the foot bed to be more faithfully reproduced off of an anatomical mold. Using Gore-Tex for waterproofing and supple, suede leather construction on the upper fabric, the Jupiter EVO should continue in the positive rhythm TCX has set for this line. Also using the Comfort Fit System, the TCX X-Move Boots kick it up a notch providing protection that completely encloses the ankle. 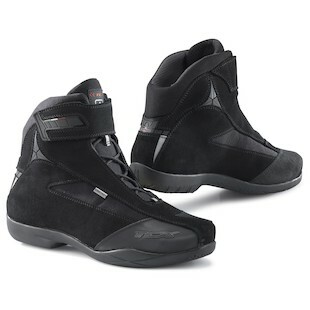 Using suede leather and Air Tech technology, the X-Move may sway you with its affordable comfort and functional design. Completed with a waterproof membrane and a wear-resistant sole, these stylish boots serve as a convenient crossover between casual wear and the moto-world. Turning now to a higher boot, the TCX Explorer EVO Boots are made for long distance touring. Again, keeping comfort and fit at the forefront with the TCX Comfort Fit System, the Explorer EVO boots are guaranteed to keep you dry. A reinforced heel counter, malleolus protector, and shin protector, finish this boot with the tech specs that make it perform when you lose your balance. The accordion stretch panels across the front of the ankle as well as the micro fiber fabric make this an ideal choice for prolonged use. 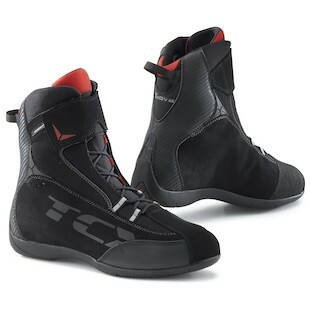 In our experience, TCX tends to run a bit wide, making these boots an ideal solution for those with D or E width feet. In addition, their attention to comfort and fit make them a great choice all around.